Welcome to the Auburn, Maine Fire Fighters I.A.F.F. Local 797 Website. 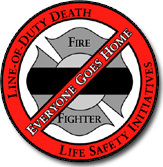 Auburn Fire Fighters are proud members of the International Association of Fire Fighters and the Professional Fire Fighters of Maine.We are dedicated to serving the citizens of Auburn through emergency response as well as charitable giving. The Auburn Fire Fighters Children Fund is responsible for giving thousands of dollars every year to support local children charities. The City of Auburn employs 60 full time Union fire fighters that man 2 fire engines, 1 tower ladder quint, 2 ALS rescues and a command vehicle, 24 hours a day 7 days a week. Along with fire suppression the fire fighters are trained in EMS, High and Low angle Rescue, Confined Space Rescue, Water Rescue, Ice Rescue, Intrapment Rescue, Disaster Management and HAZMAT response. The Fire Department also provides additional services for example Burning Permits, Blasting Permits, Oil Burner Permits and Occupancy Inspections. 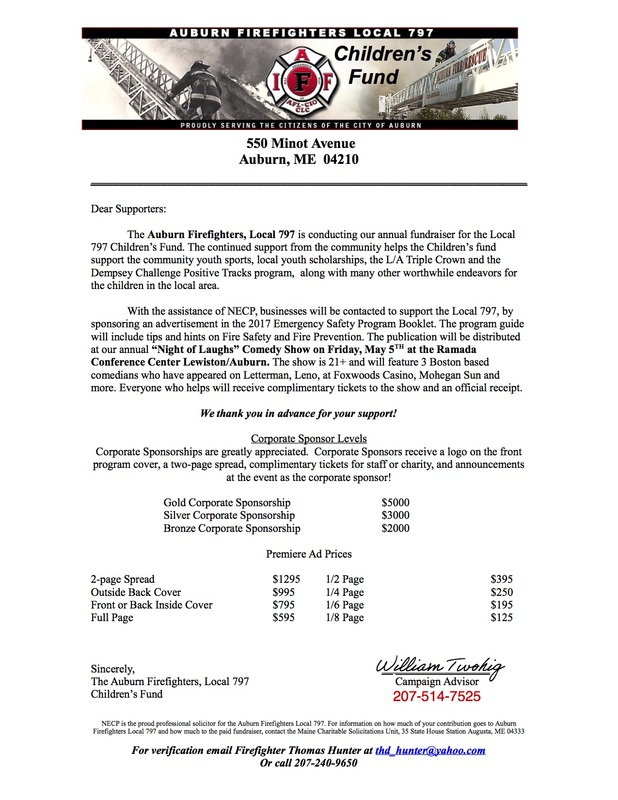 Please contact us if you have any questions about the Auburn Fire Fighters and Local 797. You can use the "Contact Us" button above on the Main Menu. For information on our Childrens Fund Charity use the Main Menu option as well. If you are interested in donating to either our Local 797 Children's Fund or the Muscular Dystrophy Association (MDA) please use the Main Menu to click on the appropriate group. The pages will have information about that topic and if you were to scroll down on that page you will find a place to donate. All proceeds go directly to the charity. You can become an Auburn Fire Department Fan on Facebook!!! Auburn, ME I.A.F.F. 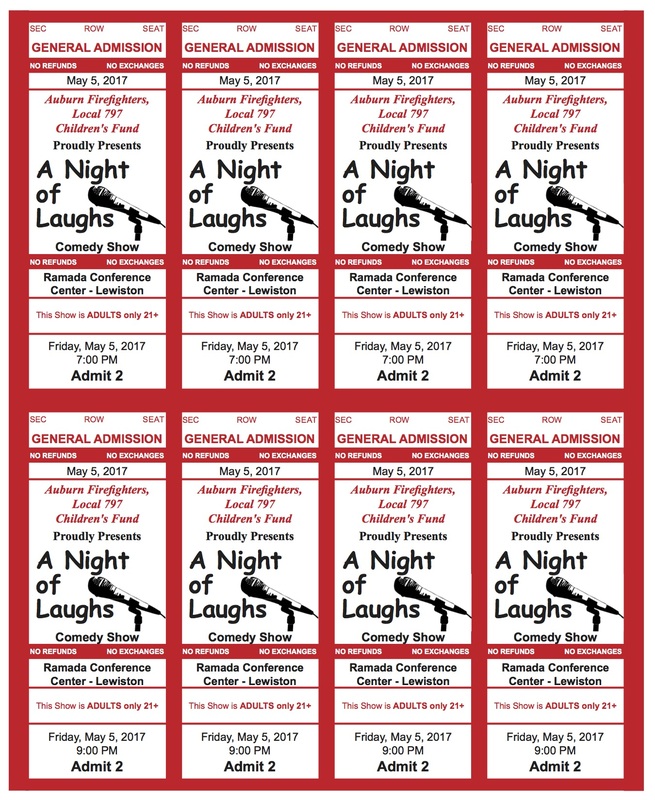 Local 797 is once again hosting their annual Comedy Show. This is a 21 plus ago show that will have three Boston based comedians. 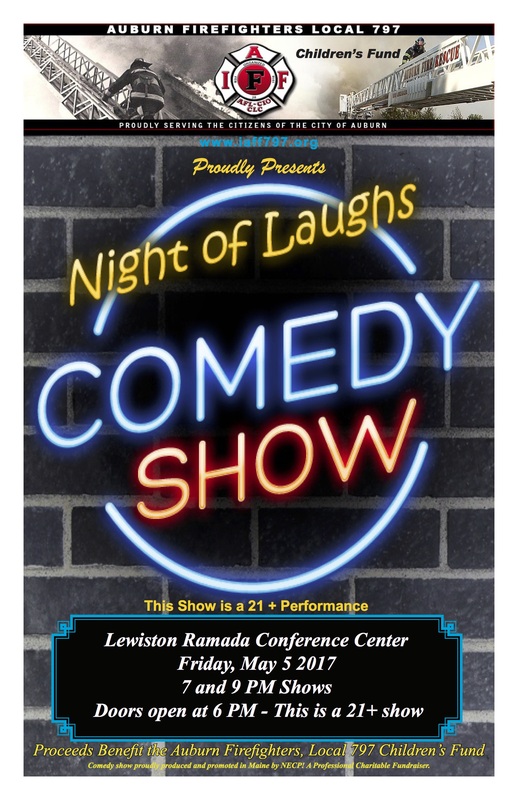 The event will be held at the Ramada Conference Center in Lewiston, ME on Friday, May 5th, 2017. There are two shows, 7 p.m. and 9 p.m.. Doors will open at 6 p.m. Tickets are available at the Central Station on Minot Avenue. All of the proceeds benefit the Children’s Fund which supports local kids events. Follow us on Facebook or our Website for more details. Here is a sample of what the show tickets look like!